After a brief visit to the United States my Great Canadian Road Trip continued in Ontario. I left Chicago, crossed Michigan, and made it through the border crossing with no problems. In Cambrige, just outside of Toronto, I met my Mom, Step-Dad, and their friend Marie. We were spending the week volunteering with the Ontario Christian Gleaners, a non-profit organization that takes surplus produce from farms and grocery stores and repackages it into dried soup bags that are shipped to missions around the world. 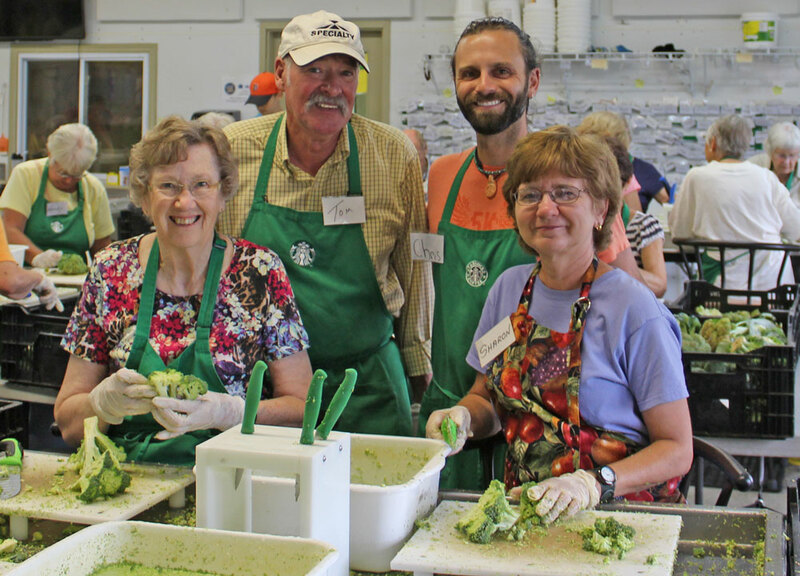 We had a great week volunteering, notwithstanding the fact that the Gleaners had just received a semi-truck full of molding broccoli and we spent the entire time cutting it back to the green stems, saving the edible parts to be packaged. We met some wonderful people who volunteer with the organization each week and learned a lot about the local community. 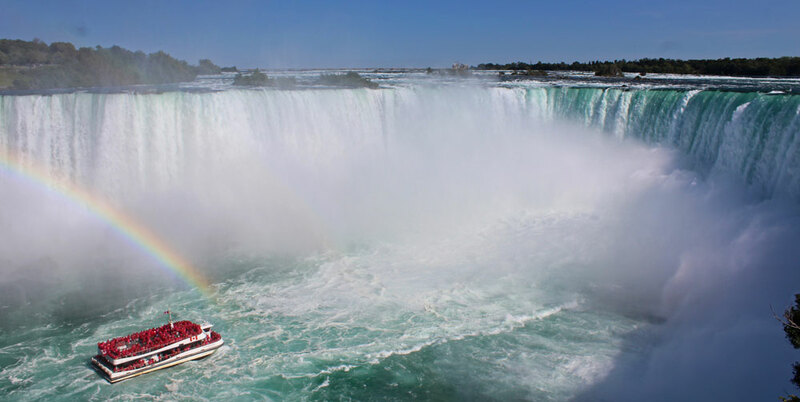 One afternoon we even ventured down to Niagara Falls, tourist capital of the Universe. From Cambridge my family returned to the United States and I headed east. I stopped in Toronto, Montreal, and Quebec to visit friends and rambled through New Brunswick to see Prince Edward Island before reaching Nova Scotia. 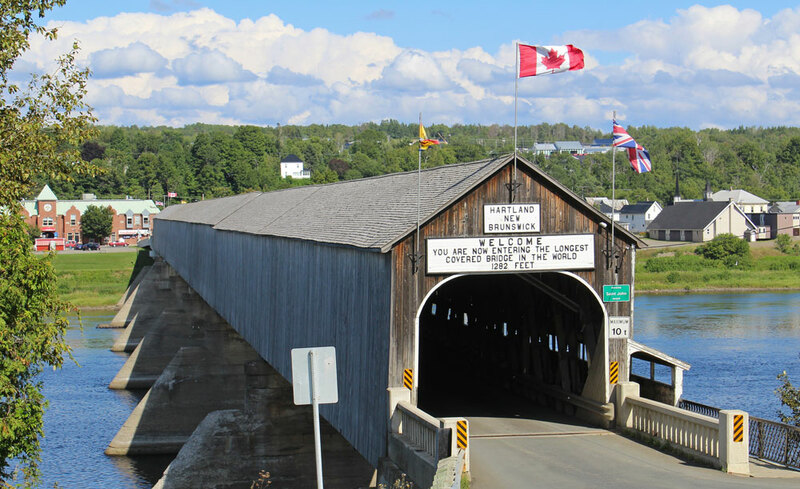 I drove across the world’s longest covered bridge and experienced Magnetic Hill before reaching the coast. 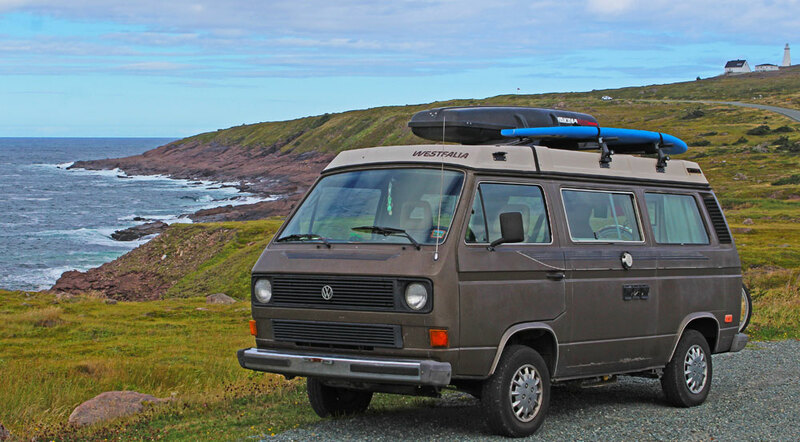 In Nova Scotia I met the Atlantic, but that wasn’t the end of my Trans-Canadian adventure. I still had Newfoundland to cross before I could call the summer a success. 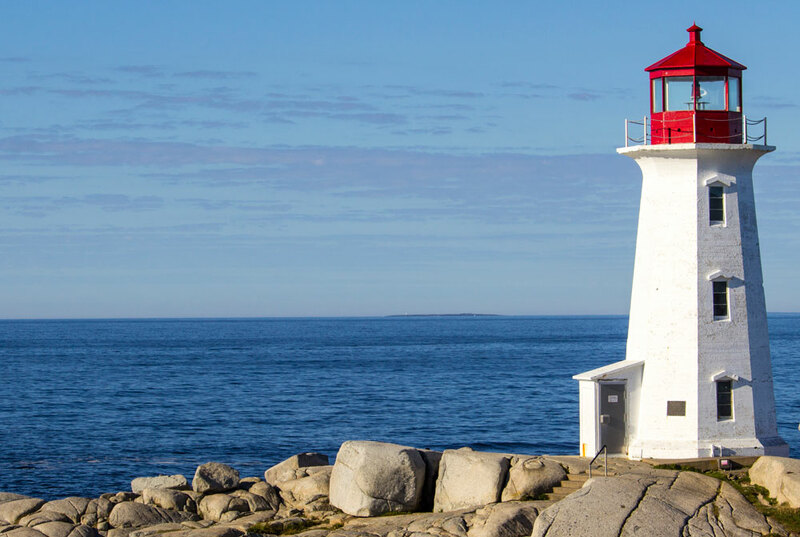 Before setting sail from Nova Scotia I stopped to take in the placid harbors and bays, visited some iconic lighthouses, enjoyed delicious seafood, and hung out in Halifax. After crossing Nova Scotia I had only one province left to complete my transcon trip. I had never considered how remote Newfoundland is, but the ferry ride from mainland to the island was a 6 hour voyage across open water. Once I landed on Newfoundland I still had another 900 kilometers (560 miles) to drive to reach the easternmost point of North America. Whoa…St. John’s is really out there! 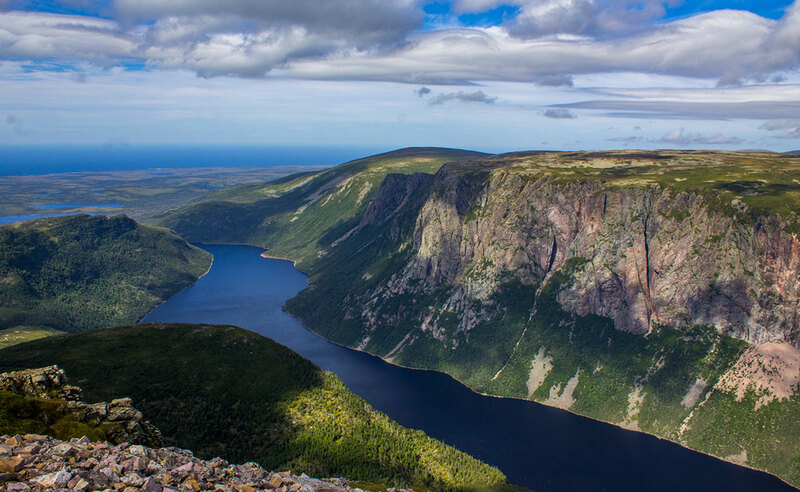 My first stop in Newfoundland was Gros Morne National Park. I had never heard of Gros Morne before landing on the island, but the photos in the ferry terminal were stunningly gorgeous, so I added it to my list. Many backpackers visit the park to hike the Long Range Traverse, but the weather wasn’t cooperating and I didn’t have a lot of time on Newfoundland so I saved that for another visit. Even the quick hike up Gros Morne Mountain left me speechless. My next task was to drive the 500+ empty miles across the island to St. John’s. I was warned by many locals to only drive during the daylight hours because I definitely did not want to meet a moose with my van on the highway at night. Noted! 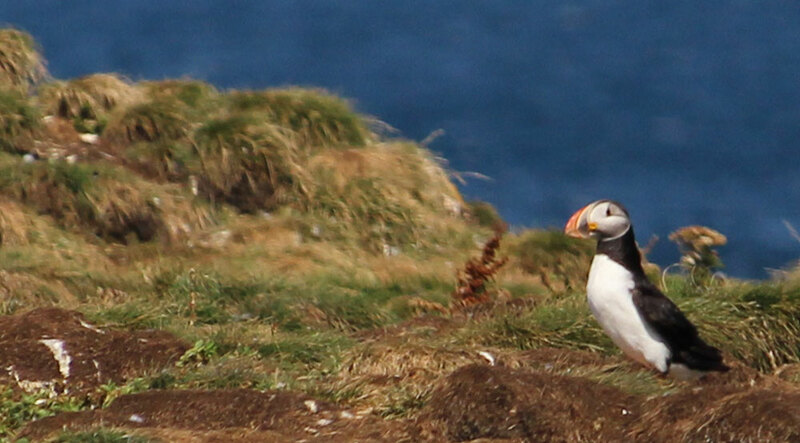 I made a side trip to catch the end of the Puffin season in the coastal town of Elliston. Most of the birds had left for their migration, but a few were still roosting, swooping over the ocean and returning to their nests. Thinking back to that beach in Ecuador when I decided to drive across Canada I never imaged how grand and vast the Great White North really is. 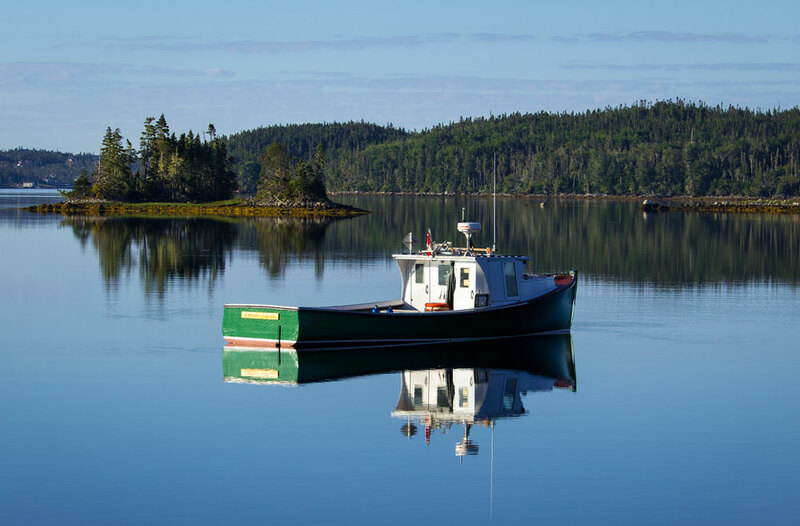 From the Pacific Ocean to the Canadian Rockies, the Great Lakes and the Eastern Maritime Provinces, Canada truly is a wild land and one summer was not enough to explore it all. I headed south to return to the United States, satisfied with my Trans-Canada drive, but dreaming that someday I’ll return to explore deeper into the Great White North.